Doing home improvements is a common way to increase both the enjoyment and value of your home. Although you may be tempted to add another room or other significant improvement, these measures may not increase the value of your home as the cost of getting the improvement can outweigh any benefit. Here are a few projects that are proven measures to increase your home’s value. The bathroom is one area of the home where updates are appreciated by prospective homebuyers and may even be required in order to secure a fast sale of your property. Out-of-date tile, fixtures and flooring can be a depressing environment for dressing and grooming. Updating your fixtures, installing new lighting and replacing out-of-fashion tiles can give your bathroom a new and modern look that appeals to today’s homebuyers. Kitchens generally see a great deal of wear. Cabinets often become worn and old-fashioned. Appliances may look out-of-date. Flooring becomes scuffed and impossible to clean. Lighting may be inadequate. If you update these features, your kitchen will create a welcoming, happy atmosphere while you own the home and will be a desirable improvement when you are ready to sell. Designing the kitchen of your dreams can be expensive. 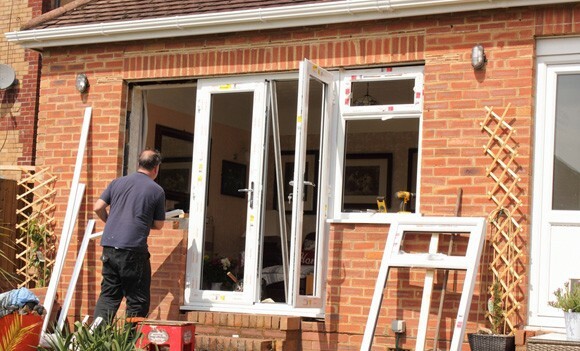 You can finance these improvements by switching to a new mortgage deal that will allow you to use some of the equity in your home to finance the remodelling project. Giving your home a new roof is a great way to increase its appearance and resale value. A new roof tells homebuyers that the structure has been well maintained and will assure them that no large, emergency expenditure will be needed if they purchase the home. In addition, new roofing will provide protection for your home’s internal and external materials, providing security and peace of mind. Energy Efficient Windows New windows that help to keep your home warm in winter and cool in summer will help to reduce energy bills, which can be an attractive improvement for prospective homebuyers. A new front door can create a more welcoming entranceway. New landscaping can make the most of the home’s design and provide shade for greater energy efficiency. New siding can update the colour to give the home a more contemporary look. These projects can be relatively inexpensive, but they can increase the appeal of your home significantly. If you make improvements in these five areas, you are more likely to enjoy a higher resale value, and you will enjoy your living space more while you are in your home. Categories: Home & Garden, Home Improvement, Property.